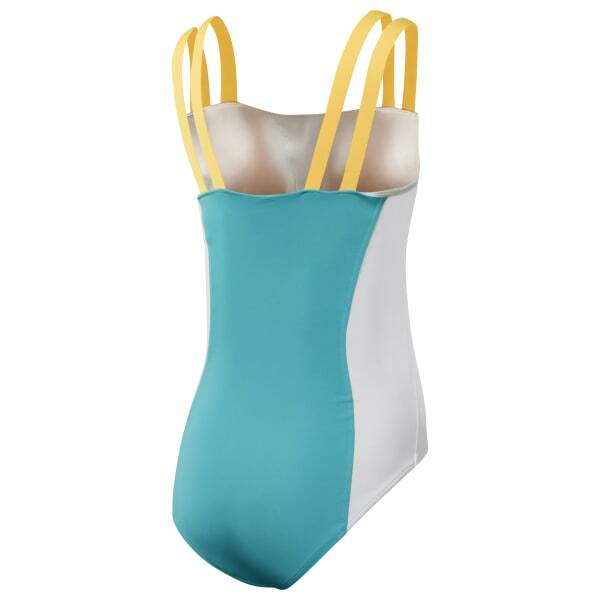 This women's retro bodysuit features a flattering, throwback design with an hourglass-shape color panel and double straps. A back zip makes it easy to slip on and off. It's made of a stretchy fabric for comfortable wear.